The Auris will only be available in Italy with hybrid powertrains. MILAN -- Toyota said its new-car lineup in Italy is now "diesel-free" after the automaker stopped selling diesel variants of its Yaris, Auris and RAV4 models. The Yaris subcompact hatchback, Auris compact hatchback and RAV4 SUV will join the Aygo minicar, C-HR crossover and Prius hybrid as diesel-free models, Toyota Italy said in a statement. The automaker offers incentives of up to 7,000 euros to Italian customers who trade in their old diesels for a Toyota hybrid. Just 6 percent of the company's new-car sales in Italy last year were diesels and the figure was less than 6 percent for the Yaris and Auris, while it was 18 percent for the RAV4. The company should be able to compensate for lost diesel sales with hybrids, a Toyota Italy spokesman said. The share of RAV4 diesel sales was much lower in the second half of last year than in the first half. Toyota sees a limited risk of losing business in the lower-priced diesel versions because the company is moving the RAV4 upscale, the spokesman said. 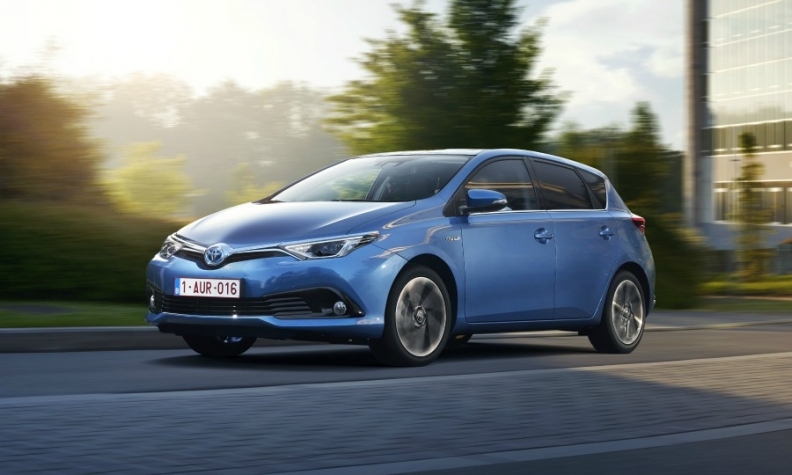 The Auris and RAV4 will be sold in Italy only with hybrid powertrains. The Aygo will be sold only with gasoline engines. The C-HR and Yaris are sold in gasoline and hybrid versions. Toyota sells hybrid and plug-in hybrids versions of the Prius. Toyota will continue to offer diesel versions of its Land Cruiser SUV and Hilux pickup because of their fuel economy and lower CO2 emissions. A Toyota Europe spokesman said the market situation will dictate whether the automaker will offer diesel-free car lineups in other European countries. "The core of our strategy is hybrid. The more we move forward, the less the need for diesels," the spokesman said. Hybrids accounted for nearly 50 percent of Toyota's sales in western Europe in 2017 and will exceed that this year, the spokesman said. In an interview with Automotive News Europe in September, Toyota Europe CEO Johan Van Zyl said just 15 percent of the automaker's European sales were diesels. Last year, Toyota's vehicle sales in Italy rose 17 percent to 89,149. Its market share increased to 4.5 percent from 4.2 percent on the back of the success of C-HR, which does not offer a diesel variant in any global market. "Our bet on hybrids is paying off, and in some metropolitan areas such as Rome or Milan our market share is close to 8 percent to 9 percent," the Toyota Italy spokesman said. Toyota is targeting 2018 sales to be equal those of 2017 with a medium-term target of 100,000 annual sales. Toyota's move comes as diesel sales hold up much better in Italy than in other European markets. Diesel car registrations rose 6.2 percent in 2017 for a 56.7 percent market share, a drop of less than a percentage point on 2016, according to transport ministry data. The market share of gasoline cars dropped to 31.6 percent last year from 32.4 percent while registrations of hybrid cars jumped 71 percent to 66,760 for a 3.4 percent market share, up from 2.1 percent in 2016.